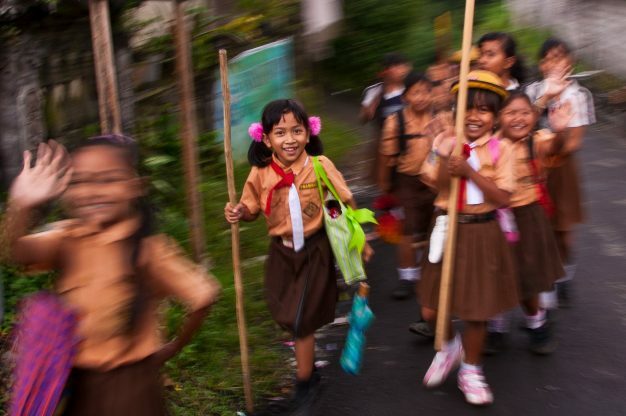 The Indonesian government has pledged to do their part in establishing a child-friendly world. The central government in Indonesia is leading a coordinated effort to continue to protect the rights of children. Working with regional administrations and other stakeholders they are creating child-friendly environments. In all of Indonesia’s 34 provinces child forums, family study centers and children’s creativity centers have been built. The aim of the centers is to facilitate children’s participation in development planning. The Minister of Women Empowerment and Child Protection Yohanna Yembise said that in addition to child-friendly playgrounds and safe paths to and from schools more than 3,000 child-friendly schools have been established. Indonesia is also looking at how to engage children with the digital world. According to the Indonesian Coordinating Minister for Human Development and Cultural Affairs Puan Maharani creating child-friendly access to information and technology is another vital part of protecting children’s rights and their development.